Do you have Asbestos that you need removed from your home? Or are you looking at doing some renovations to your pre-1990 home and need to know if you have asbestos? Enviro-Vac is proud to offer a complete turn-key service for certified residential asbestos removal and asbestos cleanup from your home project. We bring over 40-years of professional and reliable services using state-of-the-art methods and technology to ensure the job is done quickly, thoroughly and most important - safely. We can arrange free site visits by one of our fully trained estimators. Client satisfaction is a priority. We look forward to providing a responsive, level-headed and cost-effective solution to clients’ residential asbestos removal requirements. Asbestos is a hazardous material. This is one area where you need a professional for safe handling and disposal. Enviro-Vac complies with all local and federal regulations to ensure the safety of both you, the home owner, and our crew members. Contact us today for a free, no-obligation cost estimate on how we can safely remove asbestos from your home. 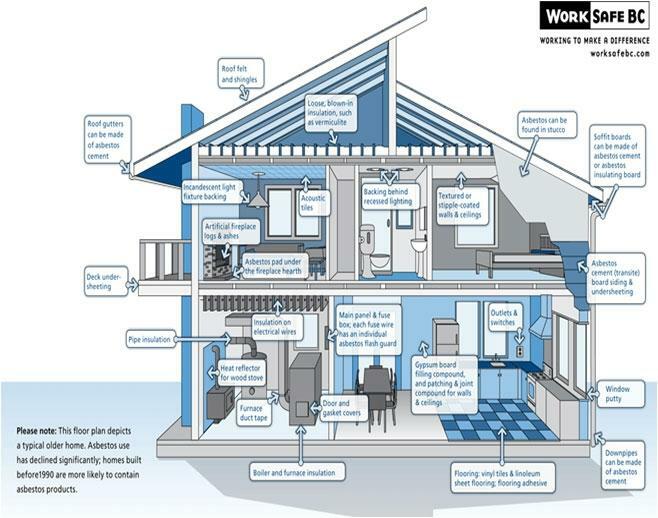 We encourage you to read the following articles by WorkSafe BC about dealing with potential asbestos in the home.